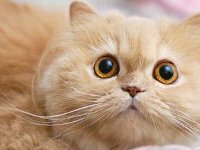 Many pets develop vision problems. Instead of simply chalking these issues up to the inevitable, it’s better to look at some of the reasons why eye problems develop, how to prevent them, and how to treat them. We all know good nutrition helps to keep us disease free, and the same is true for our pets. This applies to all organs and body parts, including the eyes. When an animal’s diet is lacking an essential nutrient, cataracts and other eye disorders can develop. The good news is that studies have shown that there are a number of supplements that help the eyes stay healthy. Antioxidants fight free radicals that can damage the lens. Some of these antioxidants include Vitamins A, C, and E. And Selenium is known to boost the efficacy of antioxidants. 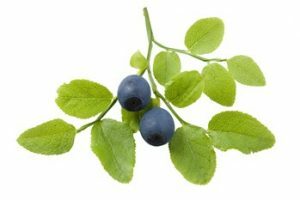 Bilberry (Vacciuium myritllus) has long been used by herbalists and natural medicine professionals to improve eye health. It’s also used for edema and circulation issues. The berries are rich in anthocyanosides, which are the pigments that are beneficial in ophthalmology and vascular diseases. Nicknamed “the vision herb,” bilberry is helpful to animals with early stage eye disorders, and for animals that have a genetic predisposition to eye problems. There are many studies that support these conclusions. Zinc is believed to play a role in eye health maintenance, and may protect eye tissue from damaging light and inflammation. Zinc is found in healthy retinal tissue. Lutein is a carotenoid found in dark, leafy greens. It’s also found in healthy eyes where it protects the retina against damaging light rays and ultraviolet radiation. Zeaxanthin is another carotenoid found in the macular region of the eye, and these two pigments are believed to help protect against cataracts. Alpha Lipoic Acids function in both water and fatty tissues, providing antioxidant protection to all your pet’s cells. They help counteract the effects of aging, including cataract production. Omega-3 fatty acids have also been proven in studies to support healthy eye tissue development. Fish oils are a good source of essential fatty acids.